An unprecedented, year-long collaborative effort involving policy experts from UC Berkeley, CEOs of major health insurers and health care delivery systems, and leaders from California’s public sector has produced a detailed roadmap that would transform the state’s health care system and improve care and outcomes while saving billions of dollars in the process. 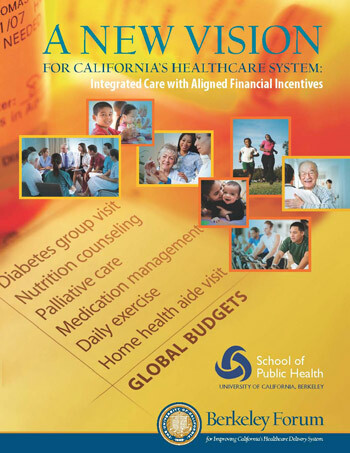 The members of the Berkeley Forum for Improving California’s Healthcare Delivery System have agreed to support a risk-adjusted global budget model of paying for coordinated care, and today (Tuesday, Feb. 26), will issue a detailed report on specific actions that would save the state of California $110 billion – about $800 per household annually – over the next decade. Global budgets, whereby physicians and hospitals optimize care under pre-determined expenditure targets, are a major shift from today’s predominantly fee-for-service environment. The current system, in which providers are paid for each treatment or procedure rendered, leads to the provision of more and duplicative services rather than efficient care that promotes good health, the report authors said. Convened by experts from UC Berkeley’s School of Public Health, forum members include presidents and CEOs of Anthem Blue Cross, Blue Shield of California, Cedars-Sinai Health System, Dignity Health, Health Net, HealthCare Partners, Kaiser Permanente, MemorialCare Health System, Monarch HealthCare, Sharp HealthCare and Sutter Health. The heads of these hospital systems, medical groups and health insurers joined state and federal health care officials in a series of meetings held throughout the past year. UC Berkeley’s Richard Scheffler, Distinguished Professor of Health Economics and Public Policy and director of the Petris Center on HealthCare Markets and Consumer Welfare, and Liora Bowers, director of Health Policy and Practice at the Petris Center, are lead authors of the report. While designed in the context of California’s unique set of health care challenges, the initiatives endorsed by the forum offer relevant and realistic reforms for states across the country, they said. “The report represents an innovative private sector approach to a problem that the federal and most state governments have failed at: improving quality and slowing the rate of health care spending,” said Scheffler. At the core of the forum’s report are two interrelated proposals to fundamentally change how health care services are financed and delivered. The first entails a major shift toward the use of global budgets, which would be adjusted for the underlying health of patient populations. Payments would also be partly tied to quality of care and patient satisfaction measures to ensure that high standards of care are maintained. The second proposal calls for broader access to and participation in integrated care systems that coordinate care for patients across conditions, providers, settings and time. Many of the forum participants’ organizations are already implementing new payment and care coordination models. The Forum Vision described in the report sets a goal of reducing the share of health care expenditures under fee-for-service systems from 78 percent to 50 percent by 2022. The forum also sets a goal that 60 percent of California’s population – equivalent to about 23 million people today – be enrolled in fully or highly integrated care systems by 2022, a doubling of the current figure. Beyond expanded use of global budgets and integrated care, the forum members are supporting six additional initiatives that would simultaneously improve care and increase savings. Those initiatives address the need for better management of chronic conditions; expanded access to palliative care; programs to help the inactive engage in more physical activity; efforts to reduce infections acquired in health care settings; prevention of pre-term births and greater reliance on nurse practitioners and physician assistants for primary care services. “Creating a forum for multiple parties — medical groups, hospitals, insurers, regulators and academics — to discuss industry issues and collaborate on solutions is groundbreaking, and it puts us on a path to improving the ailing California health care system,” said Pam Kehaly, president of Anthem Blue Cross. 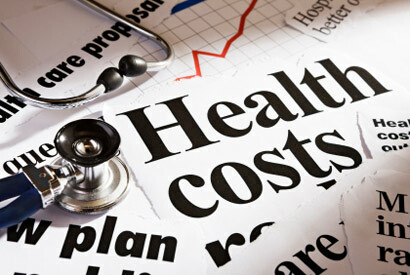 Currently, California spends more than $850 million per day on health care, according to the report. The report projects that health care costs in California will total $4.4 trillion from 2013 to 2022 under the status quo. By 2022, state health care spending is projected to increase to 17.1 percent of the state’s economy, and health insurance premiums for families would amount to nearly one-third of median income. Full implementation of the Forum Vision will require a new regulatory framework that allows for the development of more integrated care systems, provides incentives for efficiency and quality, and promotes market-based competition, according to the report. The report also noted that the growing rates of employer self-insurance, as well as government policies and private sector market forces that contribute to a decline in commercial HMO enrollment, present additional challenges to the vision that need to be addressed. Forum members point out that working in the vision’s favor is the fact that it is aligned with the goals of Gov. Jerry Brown’s recently released “Let’s Get Healthy California” initiative, which is designed to make California the healthiest state in the nation over the next 10 years. Forum participants pledged to work with all sectors to achieve the cost savings that will be needed to support the state’s overall health objectives.